"Wagherya (वाघेऱ्या)" movie is written and directed by Sameer Asha Patil, film has been produced by Rahul Shinde and Ketan Madiwale under the banner Gaurama Media & Entertainment and Vasudha Film Productions. The movie stars Bharat Ganeshpure, Kishor Kadam, Hrishikesh Joshi and Leena Bhagwat in important role. 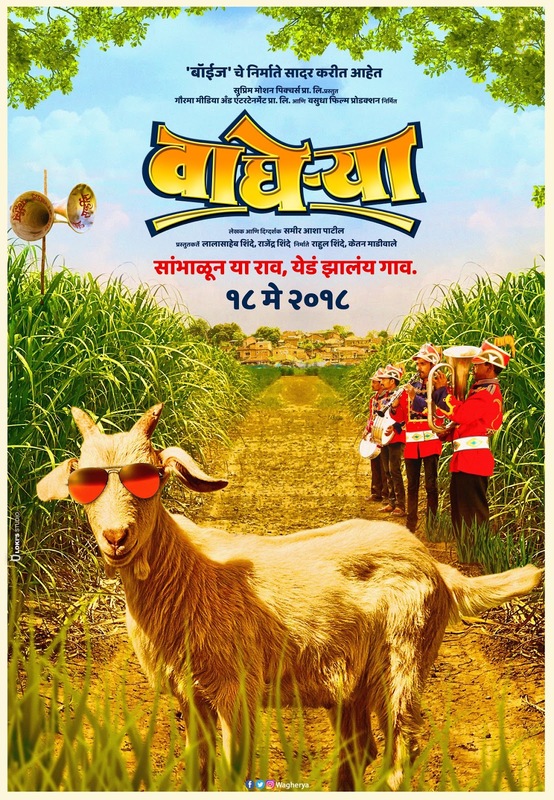 Synopsis : A hilarious rollercoaster ride, the movie is based on a rumour that spreads like wildfire in a village called Wagherya and how the lives of its residents centres around it.